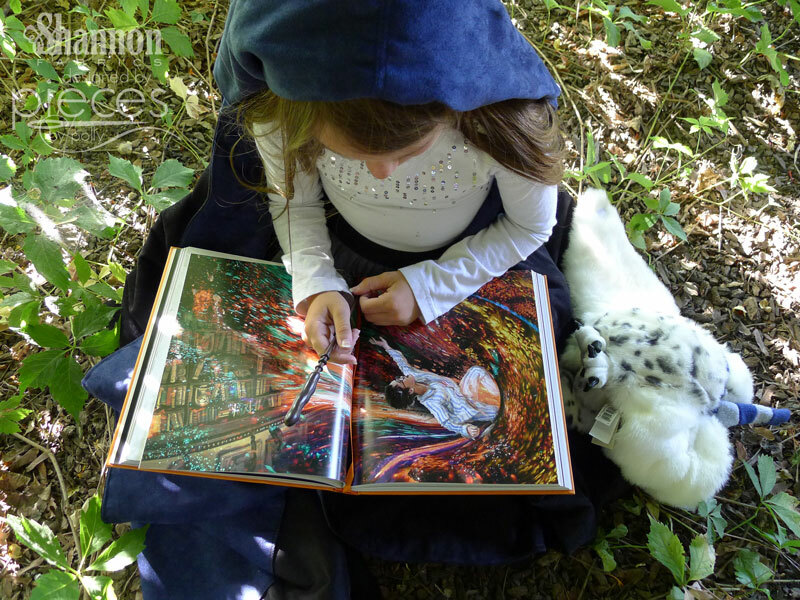 This Harry Potter Cosplay Robe will be much more than just a Halloween Costume. The luxurious Cuddle Suede fabrics make it feel "real" instead of just for dress up. (Disclaimer: Shannon Fabrics sent me this amazing fabric for free, but all opinions, idea, and enthusiasm are entirely my own. 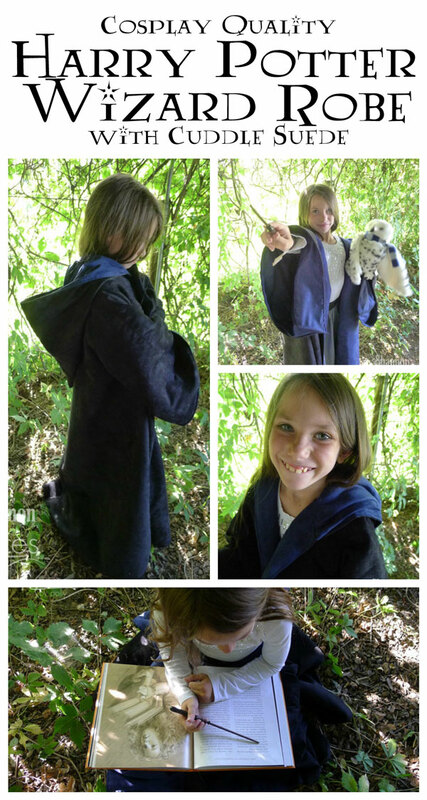 In this case, I made a robe for my little Ravenclaw. 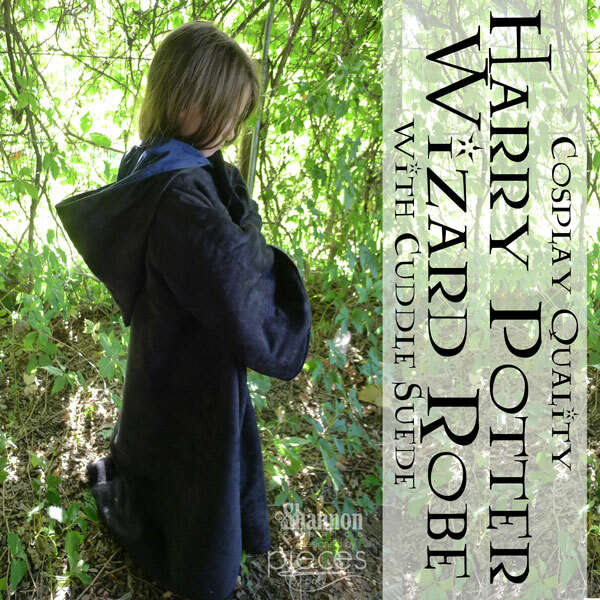 It features Cuddle® Suede Black for the outer robe and lined the hood and sleeves with Cuddle® Suede Navy for the perfect Ravenclaw look. 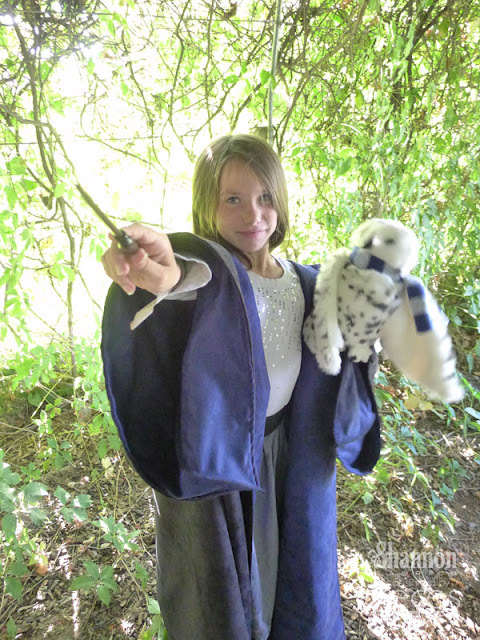 Warm enough to keep the chill out on Halloween and with an authentic drape that makes it great for wearing to your local ComicCon. You can check out my details for where to get the pattern and how we modified it to make the Cosplay Harry Potter Robe on Sewciety, the Shannon Fabrics blog.